Dislaimer: This post contains affiliate links. 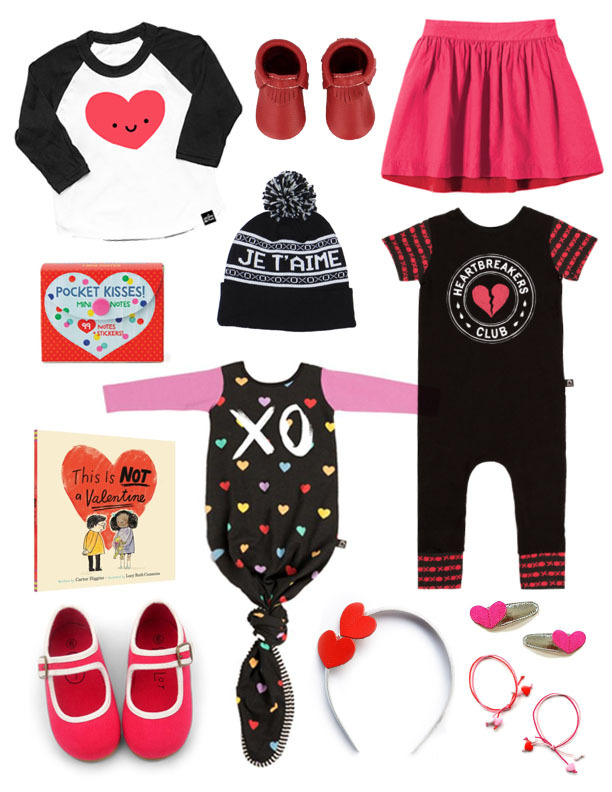 Valentine's Day is coming up in just a few weeks so today I'm sharing my favorite small brand kids' clothes and accessories for dressing the part on the big day. I love dressing my girls up for specific holidays but I'm not a fan of buying clothes that are only worn once or twice. All of these items are perfect for Valentine's Day but they can also be worn as everyday outfits too. Even better, most of these items are from small businesses run by super talented mamas. It's a total win! Lots of hearts, lots of red and pink, a few gender neutral pieces for both boys and girls, a super cute book and some sweet lunchbox notes. A little something for kids of all ages! Do you dress your kids up for different holidays throughout the year? I'm a total sucker for it!